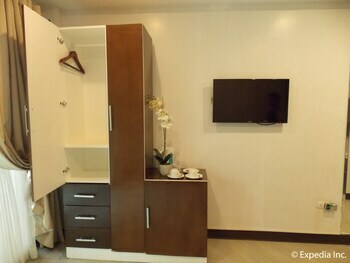 Enjoy a luxurious and secluded vacation in Cebu at a resort that has all you need to keep you comfortable and satisfied. 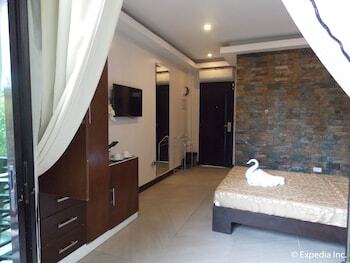 Located in San Fernando, a town just after Naga City, Paulo Luna Resort & Spa frees you from all your stress and worries with its relaxing nature ambiance and classy, contemporary design. Apart from elegant accommodations, you can enjoy an abundance of activities and facilities while staying at this resort. It is situated on the beachfront, where you will be able to breathe in some fresh ocean air and witness a romantic tropical sunset. Sleep safe and sound in Paulo Luna Resort & Spa's spacious and well-designed guestrooms set with warm and earthy tones conducive of a good night's sleep. 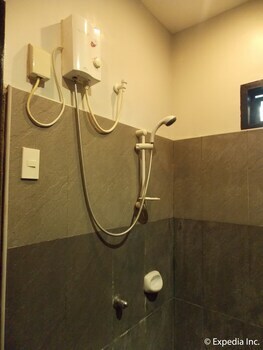 While staying in these lush accommodations, make use of the comforting amenities like air conditioning, flat-panel cable TV, and free WiFi access. 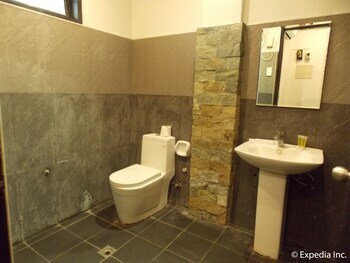 Each room features an en suite toilet and bath with hot and cold shower, towels, and basic toiletries. Guests are entitled to free breakfast during their stay. 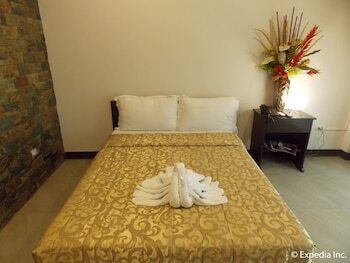 Paulo Luna Resort & Spa's has a wide range of onsite facilities that you can use. After an exhausting exploration, pamper yourself with a massage or a relaxing treatment at the spa, or take a dip in 1 of the 4 luxurious swimming pools, including a kiddie pool. The resort also gives you access to a poolside bar, fitness gym, and a restaurant serving an array of hearty meals and refreshing drinks. The resort also offers tours and an assortment of activities so you can make the most out of your stay in San Fernando. You can also try your hand at snorkeling, trekking, surfing, and even skateboarding while there. 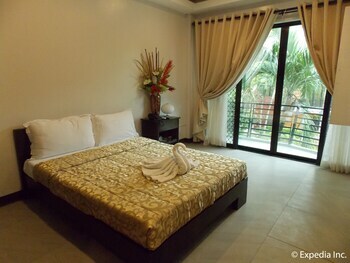 Enjoy your vacation in Cebu and let Paulo Luna Resort & Spa provide you with a memorable experience. With a stay at Paulo Luna Resort & Spa in San Fernando, you'll be on the beach and minutes from San Fernando Sports Complex. 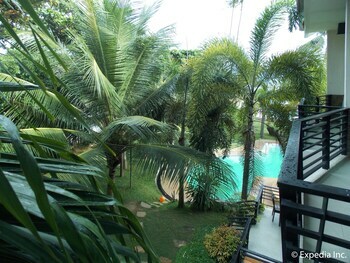 This beach resort is within the region of Mancao Ancestral House and Crocolandia.